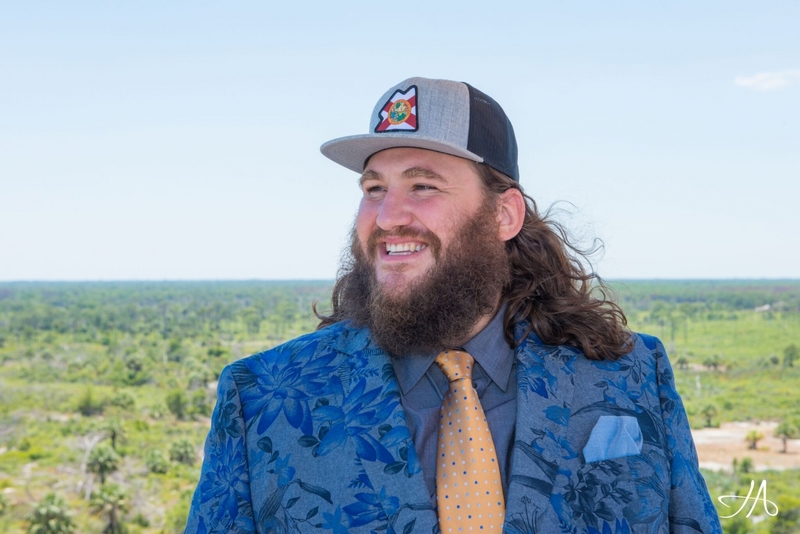 Hailing from the South Carolina coast, Zach Deputy has infuses his music with blues, roots-rock, funk and soul with a bit of the tropical humidity of Calypso and reggae and a touch of the pulse and flow of hip-hop. In making his fourth album Wash It in the Water, Zach Deputy dreamed up a sunny and soulful new sound that fuses hip-hop, funk, and folky pop with the spirited rhythms of soca and calypso. With that sound embodied by the album's brightly melodic and richly textured title track, Wash It in the Water finds the Georgia-based singer/songwriter/multi-instrumentalist mining his Puerto Rican and Cruzan heritage for inspiration. "Because of the music I was raised on, I've always heard rhythm in a very tropical, Latin-esque way--it's something that resonates in the deepest parts of me," says Deputy, who grew up in South Carolina. "When I was a kid my grandma would play a lot of salsa and soca and make me get up and dance to it, so in a way this is me putting my own spin on all that and bringing those sounds into a whole new era." With Deputy playing every instrument on the album, Wash It in the Water was self-produced in spontaneous sessions that took place in studios and homes and sometimes in Deputy's garage. "Each time I recorded it was mostly just for fun," he says. "I wasn't trying to make anything happen, I was just going with what felt good." As a result, Wash It in the Water bears a warm, natural feel that permeates everything from the intricate guitar work and tender vocals of "Jump in the Water" (a serenade to Deputy's seven-year-old daughter) to the groove-heavy funk of "Put It in the Boogie" (a celebration of the joyfully chaotic life of a musician) to the piano-driven balladry of "Loving You" (a powerful meditation on unconditional love). Despite the spur-of-the-moment approach, Wash It in the Water emerges as a gracefully arranged effort that owes much to the musicianship and songcraft Deputy's honed since getting his first guitar at age 13. By his mid-teens he'd started up a series of garage bands, balancing his own projects with playing in local big bands and soul groups. "I was this 16-year-old white kid crushing it in a Motown band, and because of that I got to learn a lot about respecting the composition," Deputy recalls. "To me music is a bunch of small pieces fitting together to form this beautiful castle." In his early 20s, Deputy experienced a major turning point that would take his music in an entirely new direction. "I was playing in a band but I wasn't inspired--music wasn't bringing me the joy that it used to, and I felt like I might be done with it altogether," he says. Along with quitting the band mid-tour, Deputy traded in his electric guitar and amp for a nylon-string acoustic and moved back home to work construction with his dad. "At work all day I'd have this music in my head, and as soon as I got home I'd go straight to the guitar," he says. Serendipitously landing a solo gig by walking into a bar just after that night's featured artist had bailed, Deputy soon introduced the world to the sound he'd eventually dub "island-infused, drum 'n' bass, gospel-ninja-soul." By 2008 he'd released his debut album Out of the Water and--thanks to his ingenuity in looping--made his name as an unforgettable one-man-band live act. In reflecting on his path as a musical artist, Deputy likens that creative awakening to the message at the heart of "Wash It in the Water." "That song's about cleansing yourself from all the nonsense of the world--starting fresh, a rebirth of sorts," he says. And whether performing live or creating new music, Deputy aspires to guide listeners toward a renewal of their own. "I try to give people a little soul massage," he says. "In music you get so raw and make yourself naked to the world, and hopefully people can find themselves in that and realize they're not alone. For me touching someone's life in a positive way is the best thing about making music, and that's what's kept me going with it for all these years."